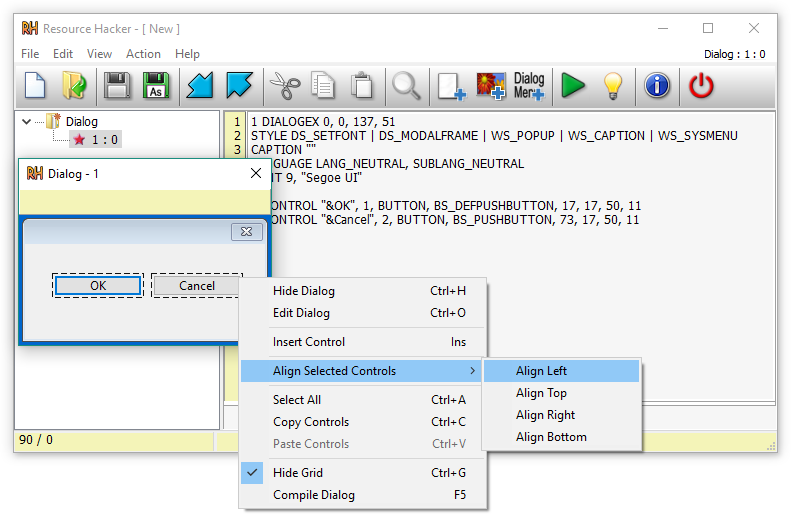 Freeware - no nags, no ads and fully functional. 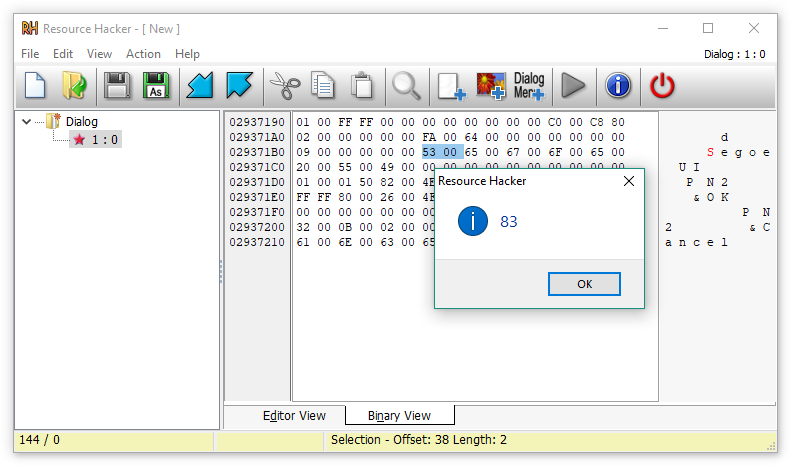 Resource Hacker™ is a resource editor for 32bit and 64bit Windows® applications. 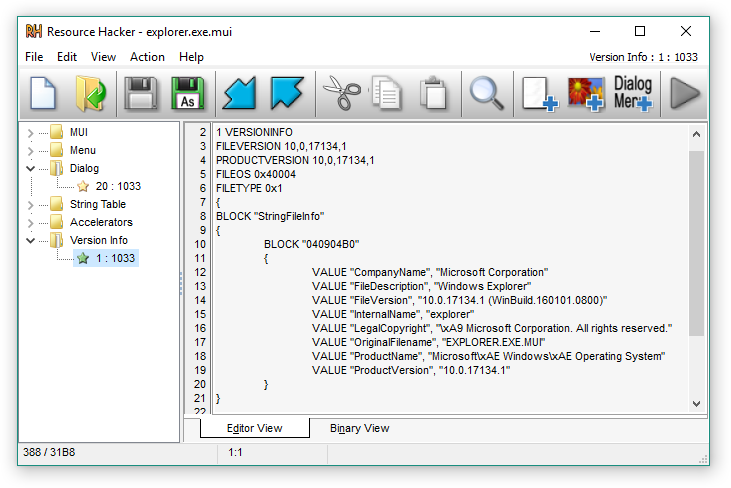 It's both a resource compiler (for *.rc files), and a decompiler - enabling viewing and editing of resources in executables (*.exe; *.dll; *.scr; etc) and compiled resource libraries (*.res, *.mui). 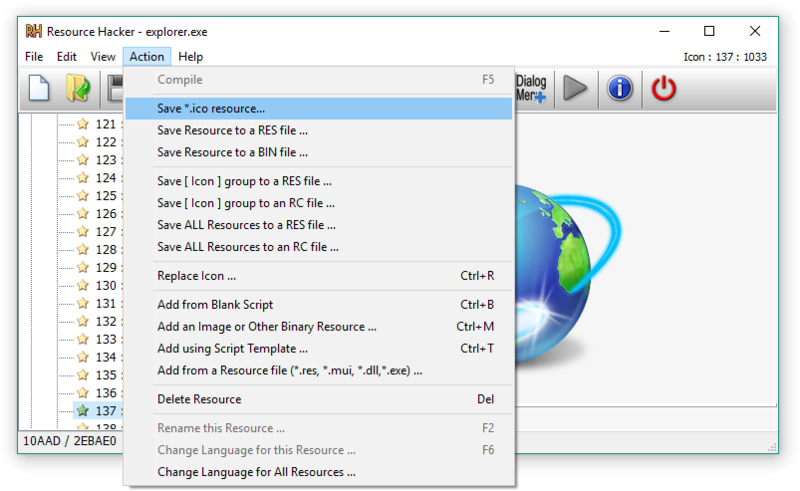 While Resource Hacker™ is primarily a GUI application, it also provides many options for compiling and decompiling resources from the command-line. 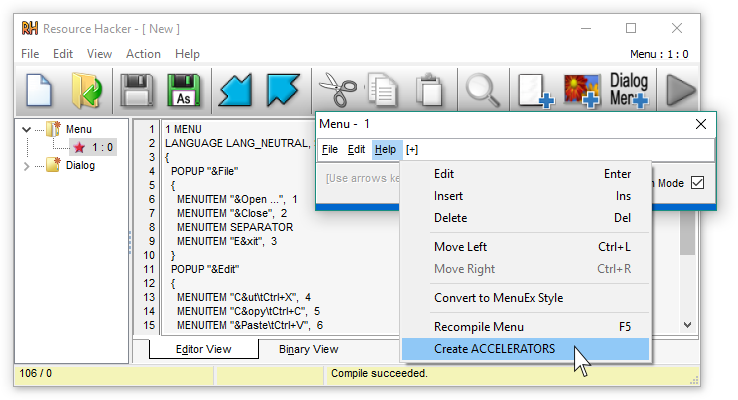 Compiling can be initiated either by opening an existing resource script file, or by creating one from scratch using Resource Hacker's editor. Additional features of Resource Hacker's compiler include: The #INCLUDE directive (to access definition statements in header files etc) can be nested to multiple levels, as can the #IF, and #IFDEF directives. 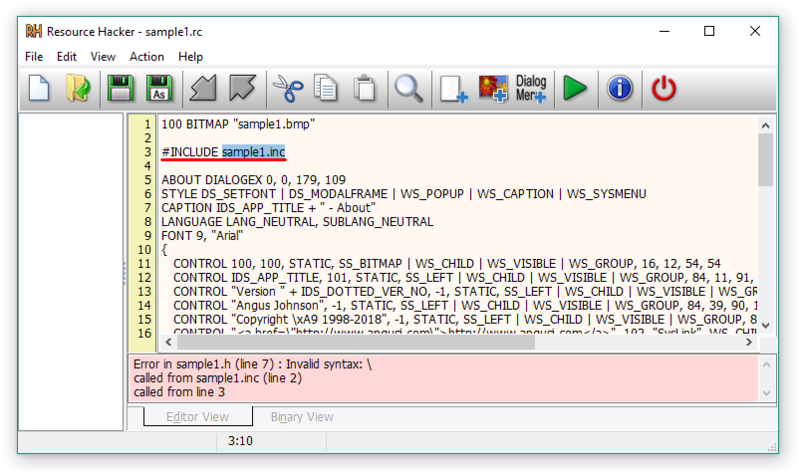 #DEFINE, #UNDEF, #IF, #ELIF, #ELSE, #IFDEF, #IFNDEF, #INCLUDE, and #PRAGMA directives are all supported. Strings, between double-quote (") characters, may contain typical 'C' style backslashed 'escaped' characters — \t , \n , \\ , \" , \x, \u and \377 (octal). A double-quote within a string must be 'escaped' using either a preceding backslash or with another double-quote. Script comments are preceded either by double forward-slashes (//) or by a semi-colon (;). 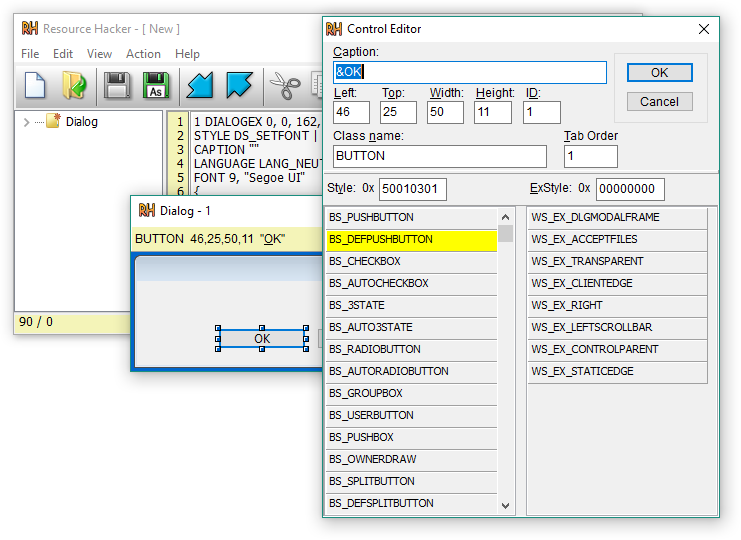 Filenames with relative paths are allowed. 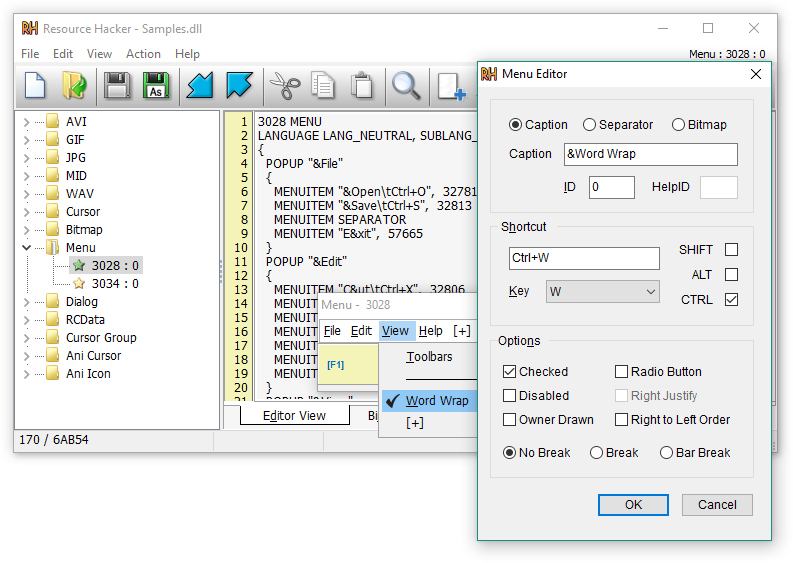 Filenames that contain spaces must be enclosed within double-quote characters. -help options - command-line or script (always logged to CONSOLE) other switches are ignored. @pause  :: to see the console output before the CMD window closes. Some executable files are "packed" or "compressed" using compression algorithms. Not only does this reduces file size, it also makes viewing and modifying resources marginally more difficult. I suspect that this resource 'hiding' is (or was) a common objective in this process. Anyhow, in deference to these authors, I've chosen not to unpack files with Resource Hacker. As a side note, it seems that "packed" executables have become quite uncommon over the last 5-10 years, and software authors are exposing more rather than less information in executable resources. I suspect that earlier concerns about the loss of intellectual property with reverse engineering have been allayed.